The Indirect Heat Dryer is a unique piece of equipment that is designed to provide a method to dry, calcine, or otherwise process materials in a controlled (oxygen lean) atmosphere. 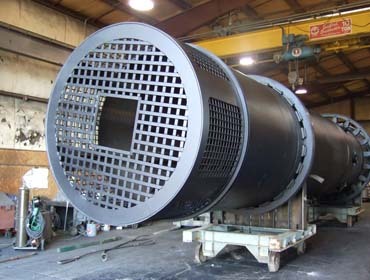 The selection of an indirect heat dryer is not made lightly as they are both expensive and inefficient. However, they provide an ideal solution if you have a product that is affected by the products of combustion, or require a certain tem[perature to effect processing, while remaining in a controlled process atmosphere. It is for these reasons why the units are sometimes known as calciners. Processing of low density or otherwise fine materials is also a significant challenge. 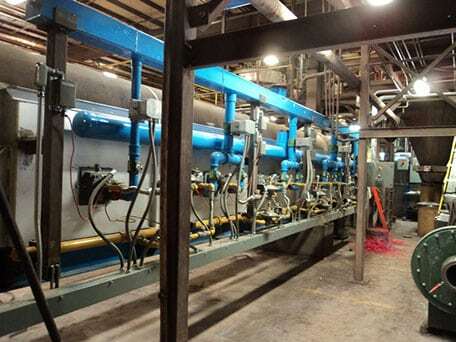 These types of materials are easily aspirated from, or degraded in, a conventional direct fired, or direct heat dryer, therefore leaving little time to be brought up to temperature. 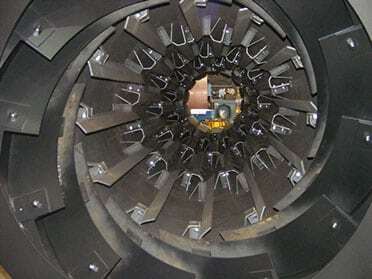 The Louisville Dryer Indirect Heat Dryer provides the perfect tool to accomplish each of these tasks as effectively as possible.